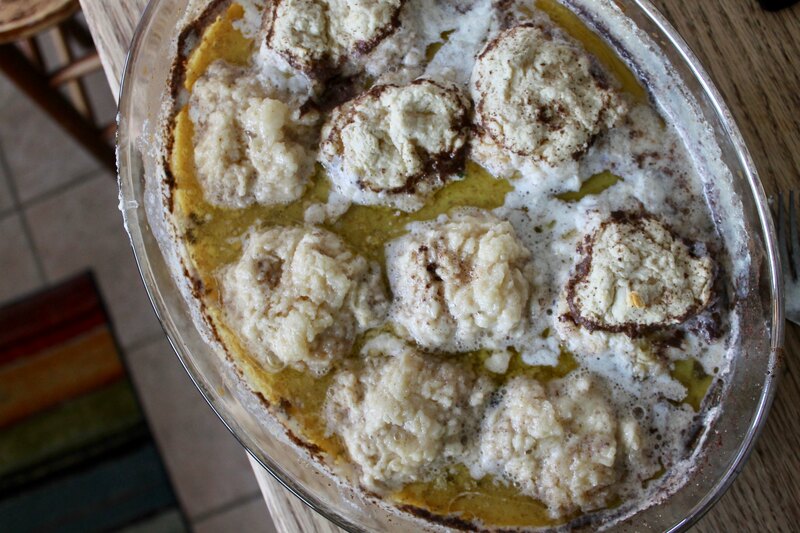 So here’s something new (or, it's new for me, at least) — butter dumplings. Their actual name is "butter rolls," but I think that's all wrong. These are biscuits baked in butter; therefore, butter dumplings. And before we go any further, let's get this straight: there is nothing, absolutely nothing, healthy about these babies. Don’t even try to justify. I slipped the dumplings in the oven at the same time we sat down for supper. My food scarfed, I entertained everyone by reading from the book’s introduction, part of which, it just so happened, was about the very buttered dumplings that I was making. 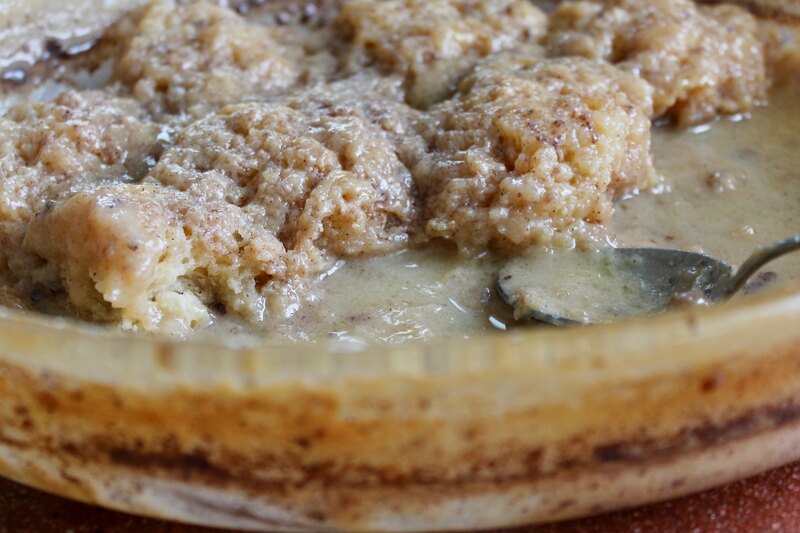 While I read, I had to hop up once to flip the dumplings in their bubbling, sugary-milk bath, and then again a second time to pull them from the oven and fill dessert bowls. I continued reading then, though every now and then my words were drowned out by startled pleasure-gasps: Oh, WOW, and, Mmm, this is good, and, Yeah, REALLY good. 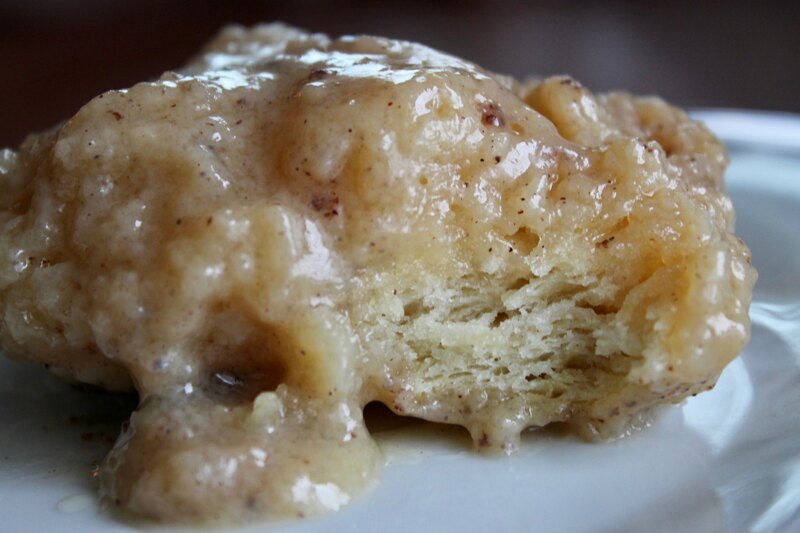 Nothing more than plain biscuits set afloat in a lake of sweetened condensed milk and butter, vanilla and cinnamon, I consider these the Southern equivalent of an emergency dessert. 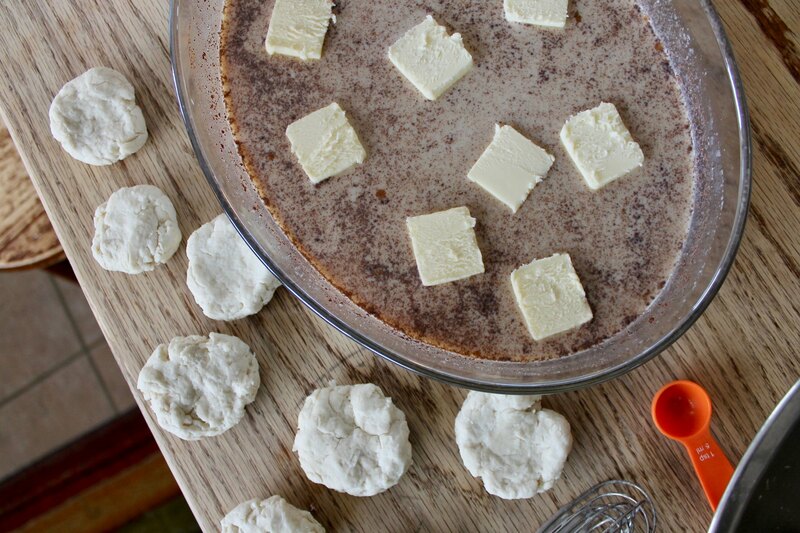 The cook is already making biscuits for dinner anyway, so instead of rustling up a whole different dessert, she (or he) just holds a few biscuits back and cracks open a can of sweetened condensed milk. Easy-peasy. As the biscuits bake, the liquid boils down, transforming into a thick, gently-spiced caramel syrup. Fresh from the oven, the dumplings look an awful lot like an alien planet, or oatmeal, or maybe cancer cells, but be ye not dismayed! Place a sticky hot dumpling in a bowl, or on a plate that you picked up from the Gift and Thrift, and spoon a little sauce over top. Weirdly enough, they taste just like apple dumplings but without the apples. I like my dumplings sizzling hot (the leftovers reheat just fine in the microwave) and then drowned in a goodly amount of cold milk. Sliced fresh banana is a fine addition, too. My younger son complains that these are too sweet. He may have a point. Perhaps next time I’ll reduce the sugar to just a half cup. For a thinner sauce — and for more of it — add a little extra milk. For the biscuits, you can use whatever biscuit recipe you like, but Rick’s mother’s is as follows: Work several tablespoons of lard into about three cups of self-rising flour. Stir in a half cup of buttermilk and a bit of water, maybe a couple tablespoons. Combine to make a dough and then pinch off pieces, rolling them into balls and patting flat into smallish biscuits. 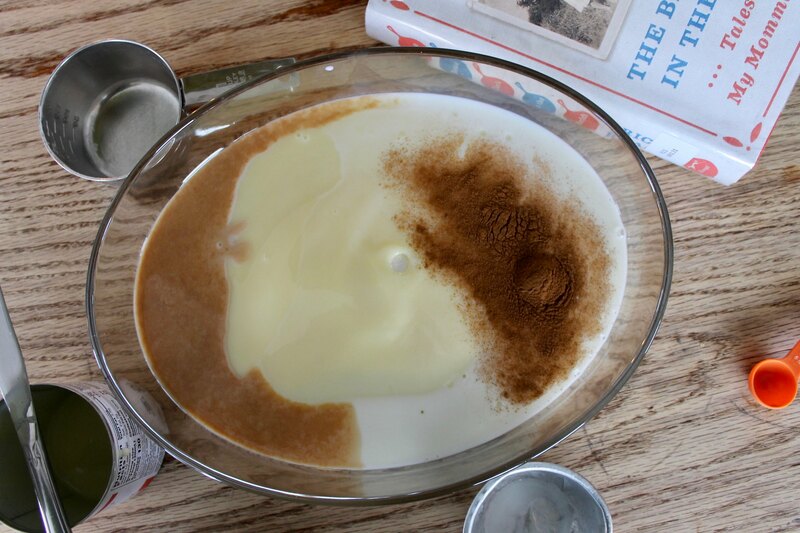 Directly in the baking dish (a 9x13-inch pan is too big but an 8x8-inch square is definitely too small), whisk together the condensed milk, regular milk, sugar, and spices. Cube the butter and distribute evenly over top the liquid. Lay the biscuits on top of the liquid, briefly pushing them under with your fingertips so the tops get wet. It is of utmost importance to not, under any circumstances, crowd the biscuits. If you do, they will grow together in the oven and the whole thing will be ruined. Bake the dumplings at 350 degrees for 15 minutes. Remove the pan from the oven and gently flip each dumpling. Return the pan to the oven and bake another 10 minutes or so. Serve warm, with cold milk. This same time, year previous: what kind of stove should we buy?, omeletty egg bake, the quotidian (1.25.16), a wedding, sour cream and berry baked oatmeal, about a picture, swimming in the sunshine, Friday evening fun, Gretchen's green chili. 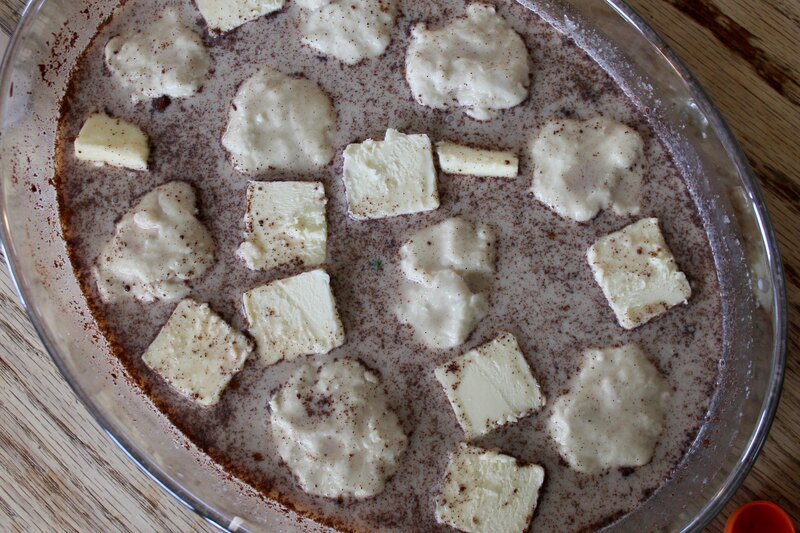 I recall now that one cookbook I worked on had chocolate dumplings - an old old family recipe that someone submitted. . . pretty sure they were boiled on stovetop in a chocolate sauce. . . must go look that up. 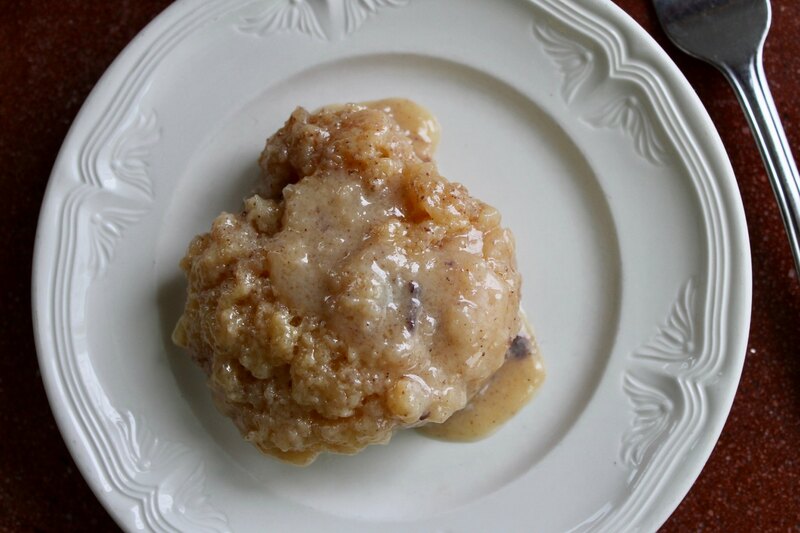 Also on emergency biscuit desserts: look up the Fruit Dumplings in More With Less (page 270) which uses biscuit dough and then a sugar sauce dumped over all and I love these better than apple dumplings made with pastry.